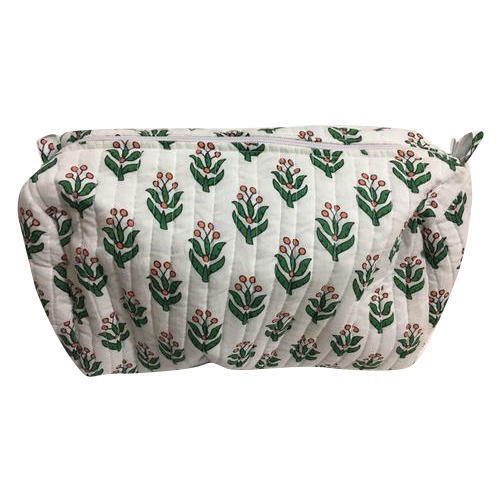 Being a leading firm in this industry, we are deeply engaged in offering a high-quality range of Printed Toiletries Bag. Incepted in the year 1999, we “Choudhary Gems & Crafts” are engaged in manufacturing, trading and exporting a wide assortment of Block Print Fabric, Dabbu Print Fabric, Sanganeri Print Fabric, Floor Rug, Printed Dress, etc. Situated at Jaipur (Rajasthan, India), we are a Sole Proprietorship company and design & weave these products as per the set industry standards. Managed under the headship of "Mr. Vishal Choudhary" (CEO), we have achieved a significant position in this sector. We are exporting our products to Europe, USA, Australia, South Africa, South America, etc.